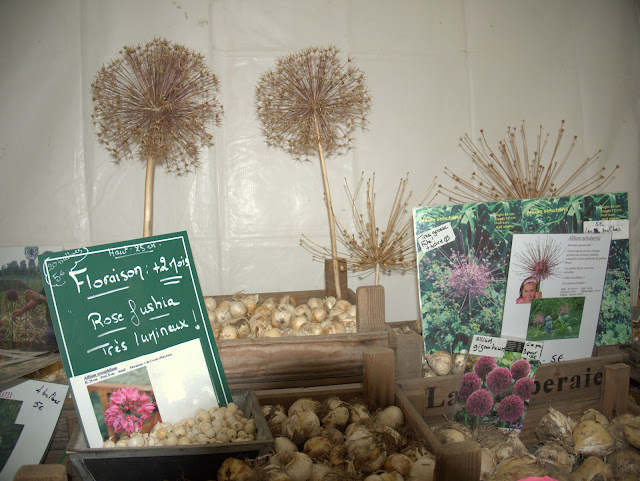 Lots of bulbs at these Autumn plant fairs - clever displaying the dried allium flower heads so you can see the size and shape. Karen and I spent last Sunday afternoon at the Jardins de la Brande, a beautiful nursery which hosts two Fête des Plantes annually. Lots of interesting characters at these events. 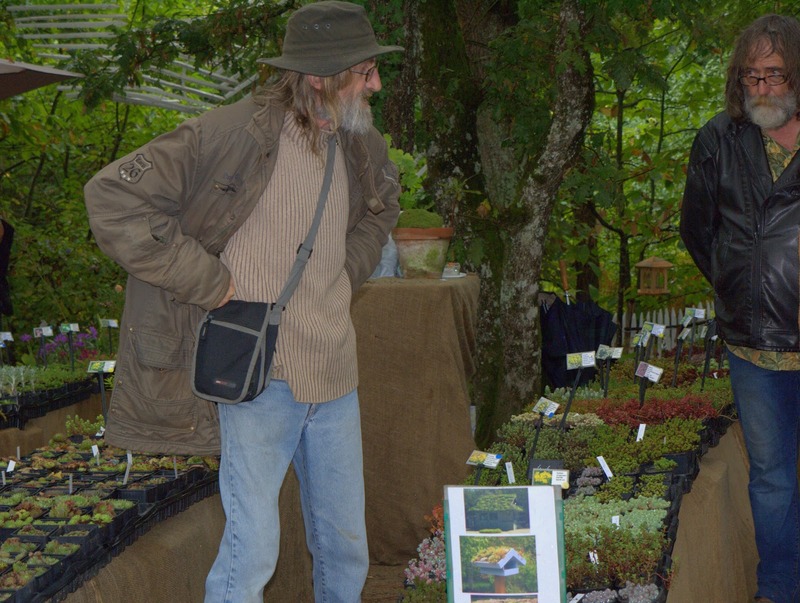 I think the two above are brothers, they had stalls displaying every type of sedum and sempervivum imaginable. Suffice to say I think their 'clubbing' days are over however. More bulbs. The saffron crocus seems to be the thing at the moment. Autumn flowering, it's beautiful for sure, but as for harvesting the stigma, well if you've time, patience and a steady hand then go for it. Pound for pound worth more than gold. Like a Starfish, the spidery roots of the foxtail lily. 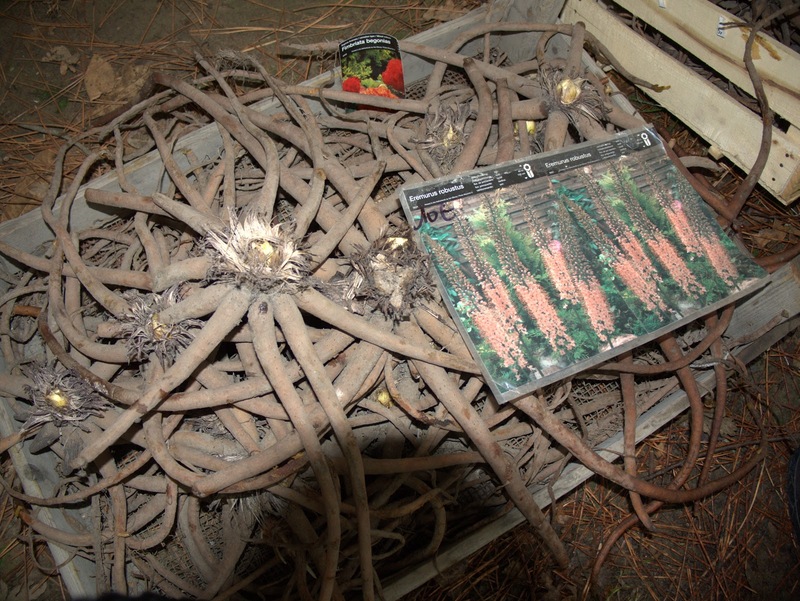 I bought five roots of the white himalayan eremurus at 25 euro for the lot. 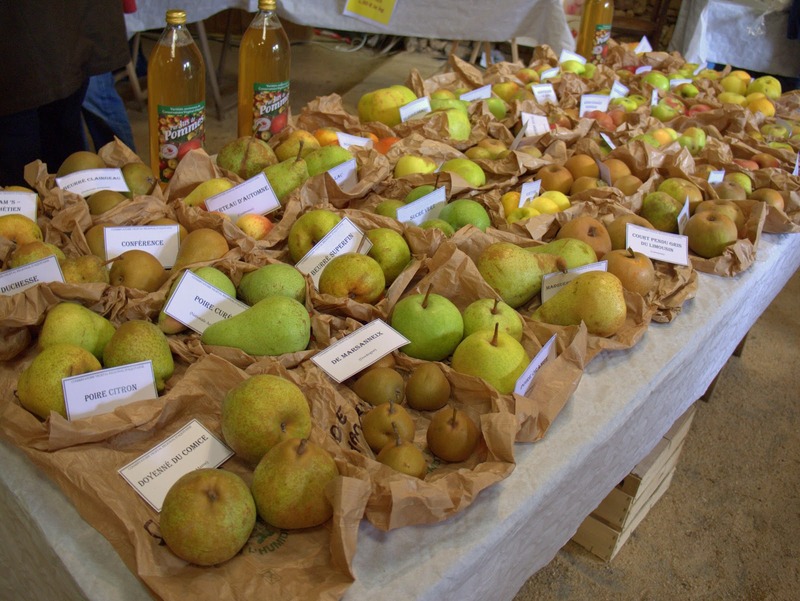 They like apples and pears down here in Aquitaine. It could be Normandy but with better weather. 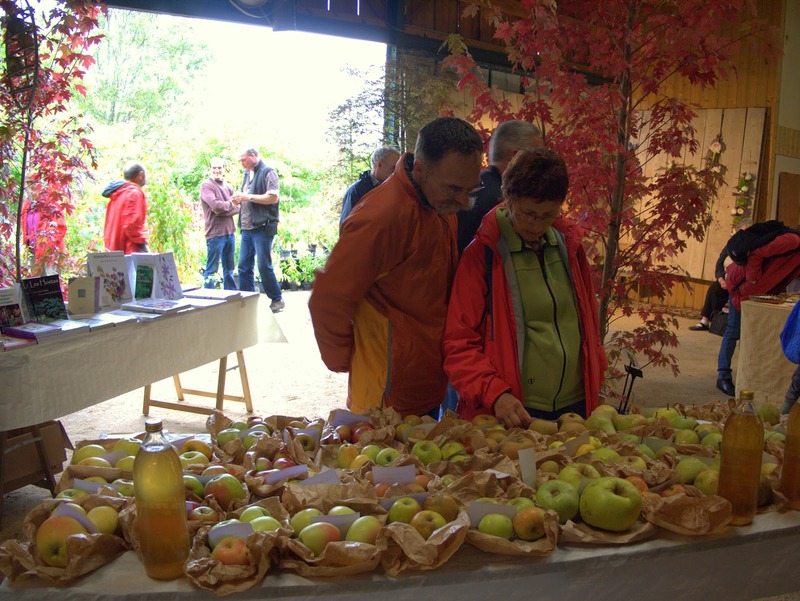 This carefully arranged table lovingly displayed just about every 'old' or 'heirloom' variety grown in the region, plus apple juice and of course eau de vie! 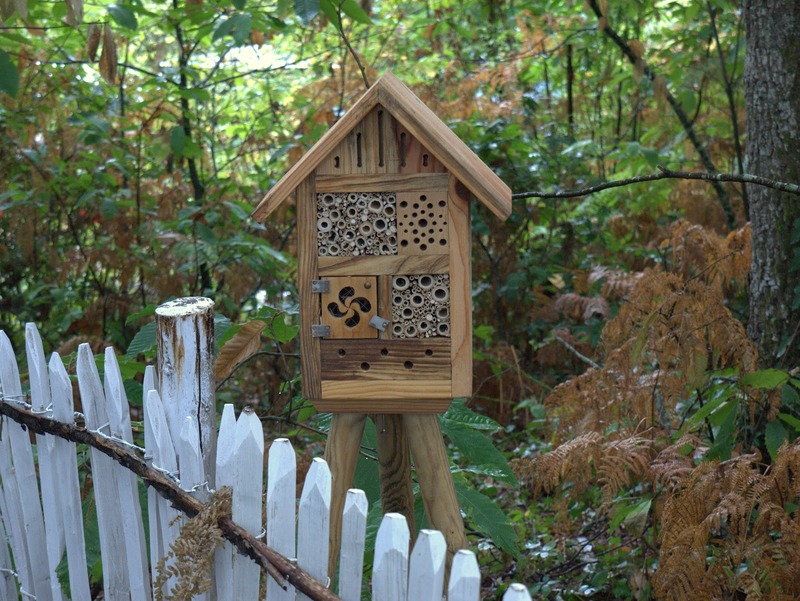 Insect houses are works of art in themselves. If I was an insect I'd move in - it's compact and bijou. Finally, more irresistable than an insect house, I had to buy sedum palmerii. I'm a little dubious as to how hardy it is, despite being informed that it can take the fost in this corner of the Perigord. Hmmm? 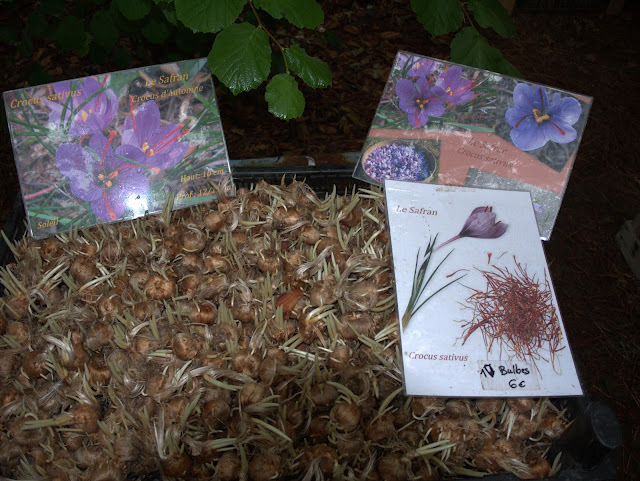 Hi Sharon, there are certainly interesting characters at these events... Saffron crocus is the big thing, I guess it is in the states too. I love those violets plants! 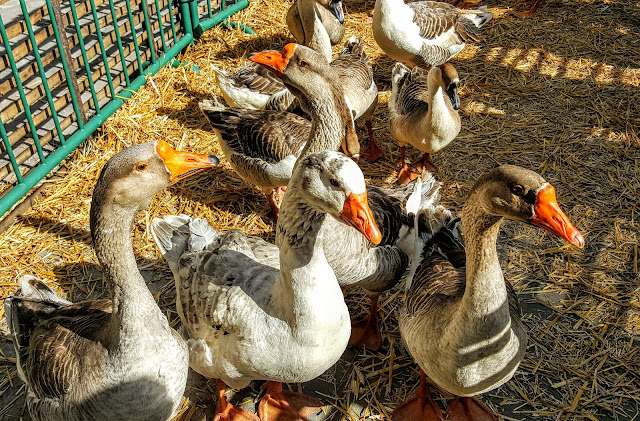 Hi Marita, I hope autumn is long and mild, I'm not ready for winter yet! Thanks Jack, never a truer word than in jest, ha. I love the insect house. Hmmm I wonder if I got an insect house would the carpenter bees stop boring into my porch railings? Must be interesting to sample the heirloom fruit. Sweetbay although I didn't try the fruit, the air was perfumed with apple. Those carpenter bees sound a pain in the arse. The two brothers. Ha! What a story there, at least to imagine. I reckon they live in the woods somewhere. 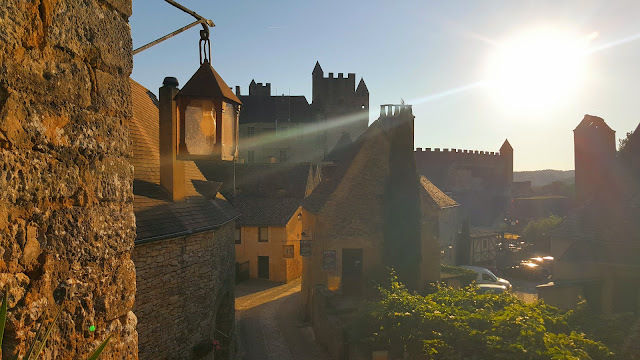 It's highly likely here in the deepest Perigord. Thanks Diane. I bet you have some good plant fairs over your way. Agreed, the insect house is really well made. The perfect way to spend a Sunday afternoon Rob. The two guys definitely look like brothers Rob but you never know their their clubbing days may not yet be done :) I have a severe case of the wants looking at that insect hotel - have not seen quite such a desirable bijou residence over here. Hope that your sedums prosper. Bit of a hit that hotel Anna. 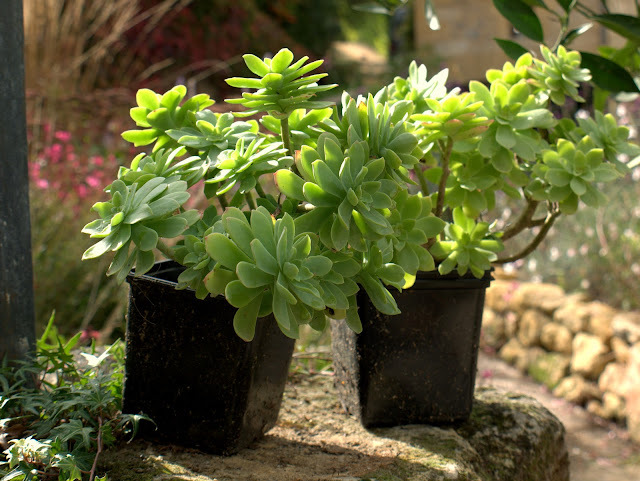 I'm going to get loads of leaf cuttings rooted from the sedum in spring. They're dead easy - perfect. The produce looks wonderful and the insect house is excellent. 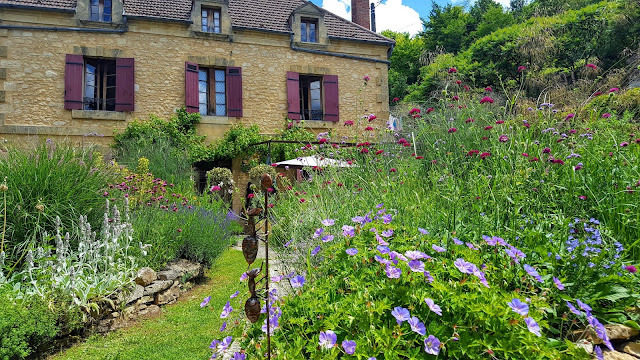 I can't wait for my spring visit to the Dordogne! It'll be spring in no time, where you heading to Martin? You'll love it here. Bulbs, brothers and apples...interesting stuff you get to see. Like those sedum pots you got. We're backed, but I'm jet lagged. Had a great time in Paris. I could have done to pay a visit there ( a bit too far though to buy plants)as I've been collecting sempervivum and sedum for my living lids. A sort of living roof which hides our pond filter. Sedum Palmerii est très rustique j'en ai dans le jardin dans le Gers.